With over 15 years’ experience delivering quality English lessons to foreign students, KKCL is a reputable and well-established school with academic programmes as diverse and fascinating as the students we welcome. For our junior students, we specialise in creative, project-based Go Create! courses. During these classes students learn first-hand how to do practical and stimulating projects in English and improve, practise and activate their language skills at the same time. From film making to design, from news reading to debating, from interviewing to TV dubbing, there is something for everyone! The projects vary depending on age and level, so all students can enjoy speaking and studying English while creating work they are truly proud of. In our General English classes, our teachers use the latest British teaching methods to help students improve in all areas: reading, writing, listening, speaking, grammar, vocabulary and of course pronunciation. With a focus on communication, you will get prepared for a future of speaking English within the international community. KKCL Beijing is a school where east meets west, as students will improve their English and experience in a British style of teaching while being surrounded by the fascinating Chinese culture of the country’s bustling capital. Our selected 4* hotel accommodation is only 5 mins drive from the school, shuttle bus service is included. Enclosed school campus with 24/7 security and monitoring. Every student will be issued with a smart card which allows access to the school facilities. KKCL centre management staff will be present at all times. KKCL Beijing International English Summer School is located in the brand new site of the 35th Middle School's International Department. The school is completely enclosed with 24-hour security and monitoring. Onsite facilities include a canteen, boarding house, gym, medical centre, dance studio, outdoor sport pitches and state-of-the-art classrooms. 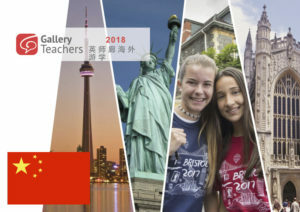 Students attending KKCL Beijing International English Summer School will benefit from top quality English lessons delivered by native level teachers sent directly from our schools in the UK. 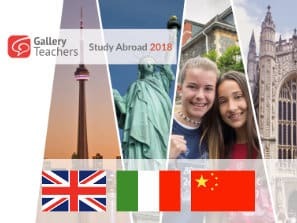 Students will participate in after class activities together with international and Chinese students, as well as visiting world-renowned cultural sites such as the Forbidden Palace, the Great Wall, Imperial Tombs of Ming Dynasty, Temple of Heaven, Confucian Temple, Olympic Park, The Summer Palace, Qing Hua University, Beijing University and traditional street market. Apart from the historical sites, Beijing is also a modern capital city. It has been ranked as one of the top 10 cities of the world and is a global city on the rise, leading the economic might of China. Students will have the chance to be inspired by the night view from the Central Business District, enjoy delicious Chinese cuisine and see pandas in the Beijing Zoo.